Now with new material from additional sources. 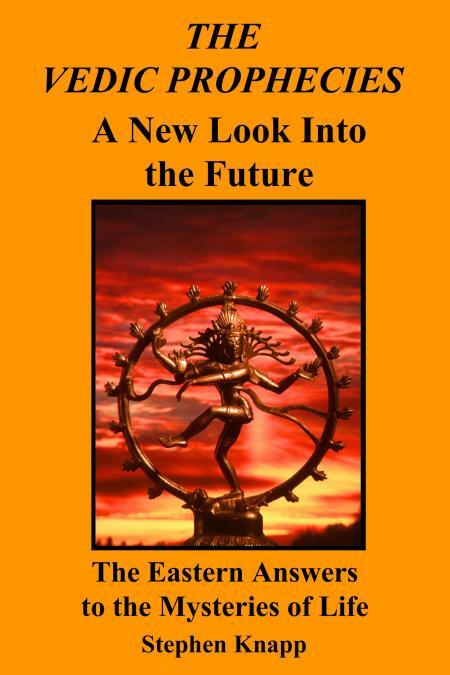 The Vedic Prophecies take you to the end of time! This is the first book ever to present the unique predictions found in the ancient Vedic texts of India. These prophecies are like no others and will provide you with a very different view of the future and how things fit together in the plan for the universe. Now you can discover the amazing secrets that are hidden in the oldest spiritual writings on the planet. Find out what they say about the distant future, and what the seers of long ago saw in their visions of the destiny of the world. Does the future get worse or better? Will there be future world wars or global disasters? What lies beyond the predictions of Nostradamus, the Mayan prophecies, or the Biblical apocalypse? Are we in the end times? How to recognize them if we are. Does the world come to an end? If so, when and how? Now you can find out what the future holds. The Vedic Prophecies carry an important message and warning for all humanity, which needs to be understood now! The Bhavishya Purana * The Prophecy of Jayadeva Goswami * The Prediction of Nimbarkacharya * The Prediction of Madhvacharya * The Prediction of Sridhara * The Prophecy of Jesus Christ * Jesus in Kashmir * Was Jesus Really Predicted in the Bhavishya Purana? * Is Prophet Mohammed Really Prophesied in the Bhavishya Purana? IF THERE IS A GOD, WHY IS THE WORLD LIKE THIS? The book is $20.95, 6"x 9" trim size, 324 Pages, $20.95, Also available through your local bookstore, ISBN-13: 978-1461002246, ISBN-10: 1461002249.